I had a work trip to the European Training centre in Gavirate Italy in April 2012, while there I managed to get out for three rides and one solid run. On the rides I took my camera and was able to get some great shots. Definitely an awesome area to train in for many sports. Recommended to me by Luke Durbridge who was at the ETC while I was there, this ride was from Gavirate over to Lago di Maggiore and then along the shores until I hit the climb and down the other side in to Switzerland than back through the valley past Lago di Lugano toward the border at Ponte Tresa above Varese. A great ride for sure and a nice climb, though I probably left it an hour too late as coming back it was dark by the time I got to Varese and I had not taken lights. 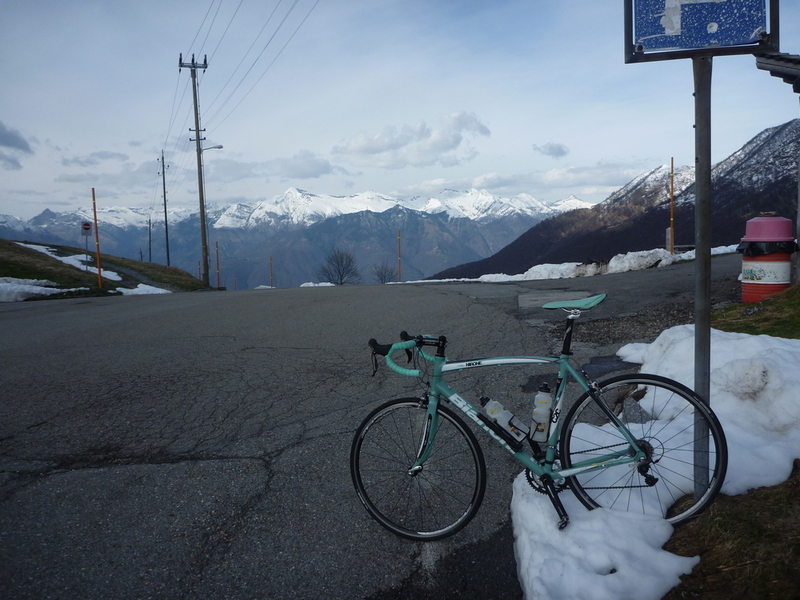 Images in my gallery from the ride Alpe di Neggia ride in Italy/Switzerland.